One of the leading voices of klezmer music's younger generation of performers and composers, clarinetist Michael Winograd leads this stellar ensemble on a mission to redefine the sound of contemporary klezmer. Accordionist Patrick Farrell, violinist Deborah Strauss, Joshua Horowitz on cimbalom, and bassist and vocalist Benjy Fox-Rosen join Michael for a program that blends traditional klezmer, new compositions, re-imagined folks songs, and improvisations. Intriguing young musician Judith Berkson joins the ensemble on vocals and piano. Currently based in New York City, Michael graduated with distinction in performance from the New England Conservatory. 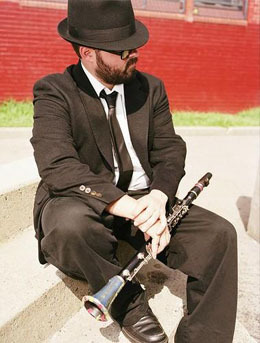 A modern master of the klezmer clarinet style, he has performed throughout the United States, Canada, and Europe. Michael performs regularly with Michael Winograd Trio, as well as groups like Budowitz and the Klezmer Conservatory Band. 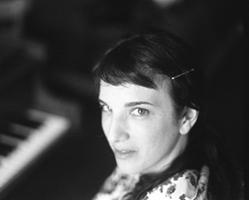 Judith Berkson is a New York-based soprano, pianist, composer, and cantor. Versatile and unpredictable, her performances mix originals and improvisations with liturgical music and works by Schumann. Recently, Judith has been collaborating with Kronos Quartet on re-workings of Schubert lieder.